Founded by Raja Arjun Pal in 1348 AD, Karauli is a beautiful city in the modern state of Rajasthan. 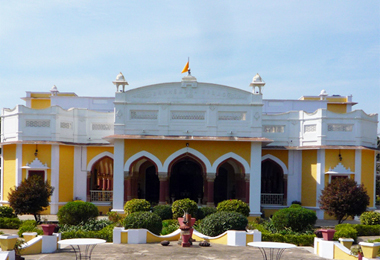 Known for its hills, ravines, palaces, monuments and temples, Karauli has everything which a tourist can dream of. Visited by large number of tourists every year, Karauli also offers great staying options for them. Dotted with palaces and mansions converted into a hotel, tourists can indeed get a royal feel while staying in these hotels. 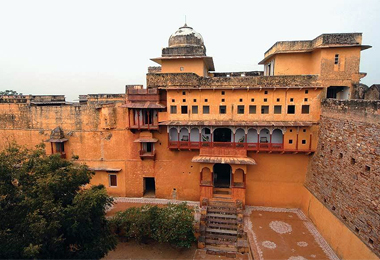 Heritage Hotels of India offers to give you online information on heritage hotels in Karauli in Rajastha, India. With hotels and resorts spread all over the Karauli city, finding accommodation is not a problem here. From luxurious star hotels to affordable budget hotels to distinct heritage hotels you will easily find all kinds of staying options in Karauli. If you are visiting Karauli and looking for a hotel that provides royal comforts and warm hospitality, then heritage hotels in Karauli is the right option for you. These hotels are elegantly appointed and provide you with a unique experience you would always remember.